Here’s what’s happening in the world of television for Tuesday, November 13. All times are Eastern. This Is Us (NBC, 9 p.m.): We exist, not in the age known as Anno Domini, or A.D. No, this era is that which we call A.C.P.K.J.P., or After Crock-Pot Killed Jack Pearson. In A.C.P.K.J.P, a new set of This Is Us’s sad mysteries have risen to prominence, to assume the place of such questions as “How, exactly, did Jack Pearson die in a fire?” The two most potent new questions include, what happened to Jack and his brother in Vietnam? And, what are future-Tess and future-Randall so sad about? Whether or not we’ll learn anything about the latter, we can’t say. But This Is Us’s third season has gradually peeled back the layers on the former all season, and tonight’s episode, entitled “Sometimes,” promises more. 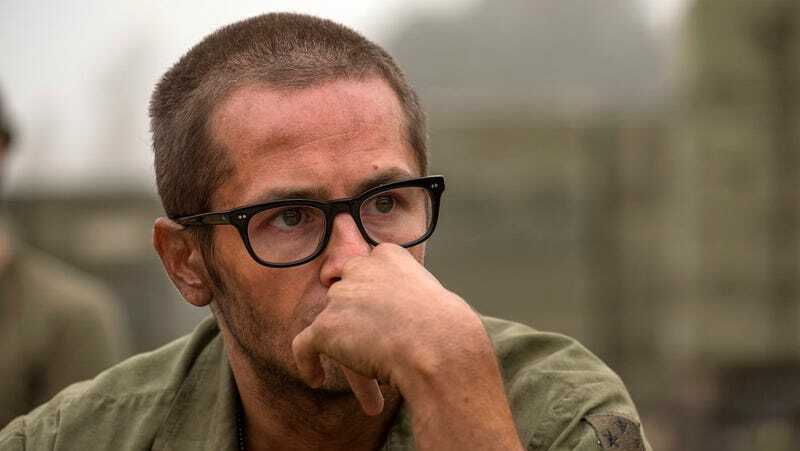 If nothing else, we seem destined to learn more about Jack’s brother Nick (Michael Angarano, pensively pictured above), after Zoe (Melanie Liburd) and Kevin (Justin Hartley) arrive in Vietnam. Caroline Siede will help us enter the age of P.U.L.H.J.S.T.W. (Post Us Learning How Jack Spent The War). She-Ra And The Princesses Of Power (Netflix, 3:01 a.m.): We’re very excited about the first season of this new She-Ra, which arrives in full on Netflix today. It comes from executive producer Noelle Stevenson of Lumberjanes and Nimona fame, and if that alone weren’t enough to catch our interest (and it is enough to catch our interest), its voice cast certainly would. The voice talent in this thing is nuts, and includes Sandra Oh, Crazy Ex-Girlfriend’s Vella Lovell, Superstore’s Lauren Ash, and many others. Keep your eyes peeled for Yolanda Machado’s pre-air review.